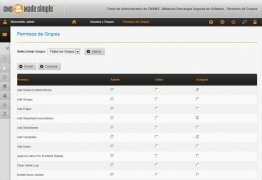 Content managers are the perfect tool to publish a personal blog on the Internet. 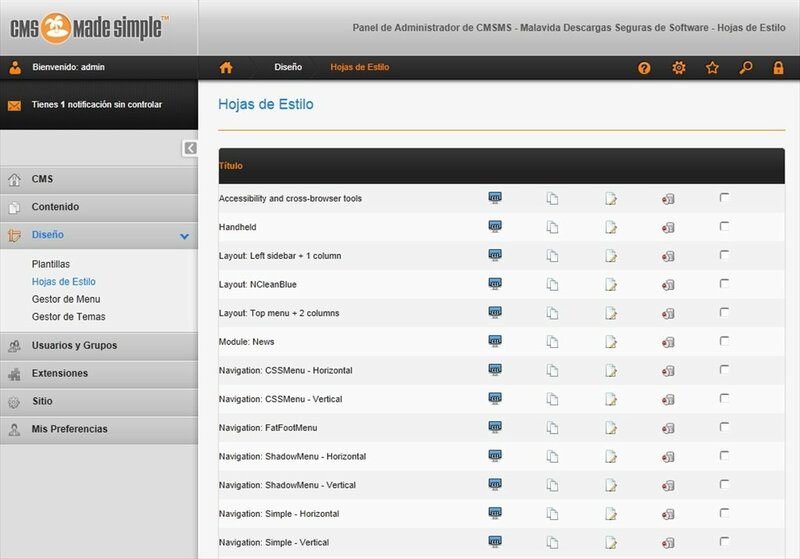 CMS Made Simple is one of the options at your reach. 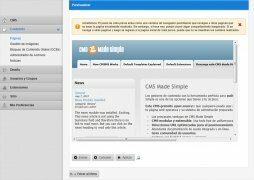 This free CMS is open source and anyone can use it due to how easy it is to handle. 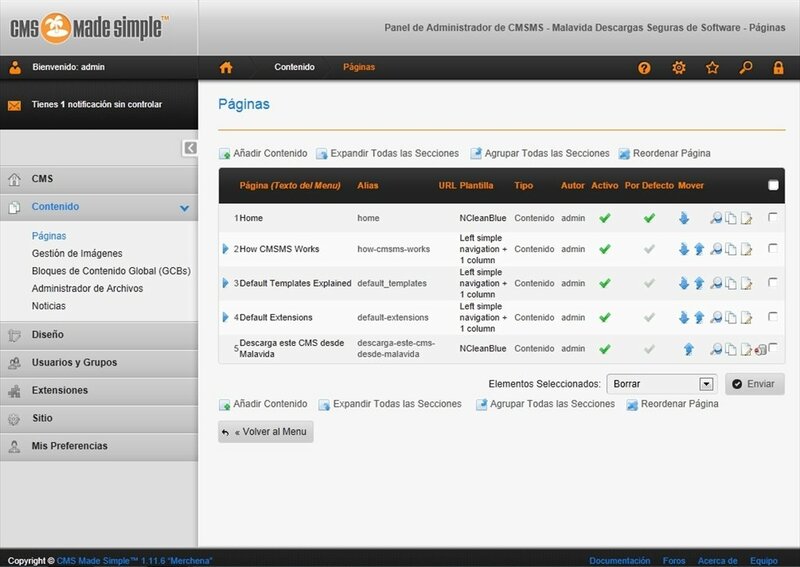 In a matter of minutes you will have your website fully operative and its administration system ready to be used. 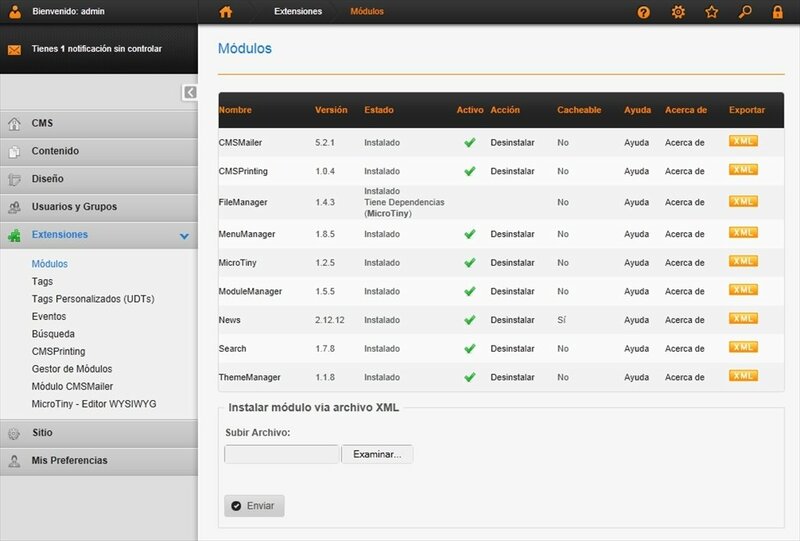 Modular and extendable CMS. Use all sorts of add-ons to expand its possibilities. URL addresses optimized for SEO positioning. Plenty of integrated and online help documentation. 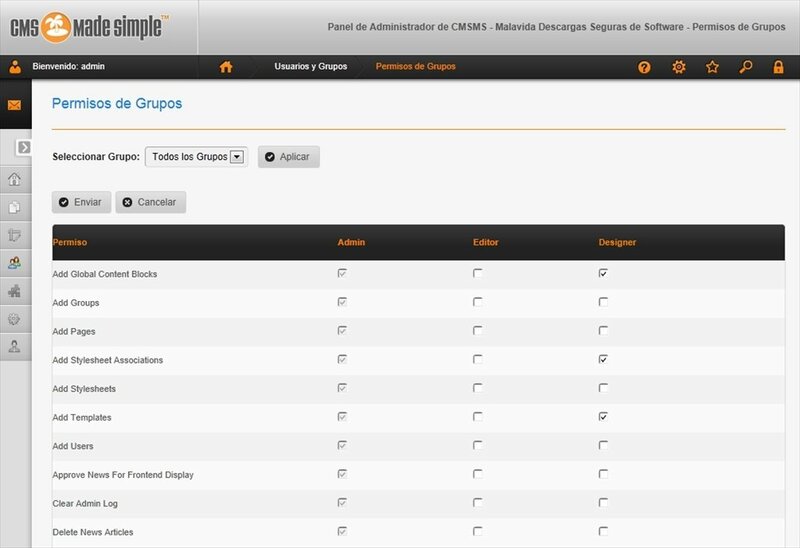 Easily manage groups and users. Modify its aspect with design templates. Compatible with XHTML and CSS. 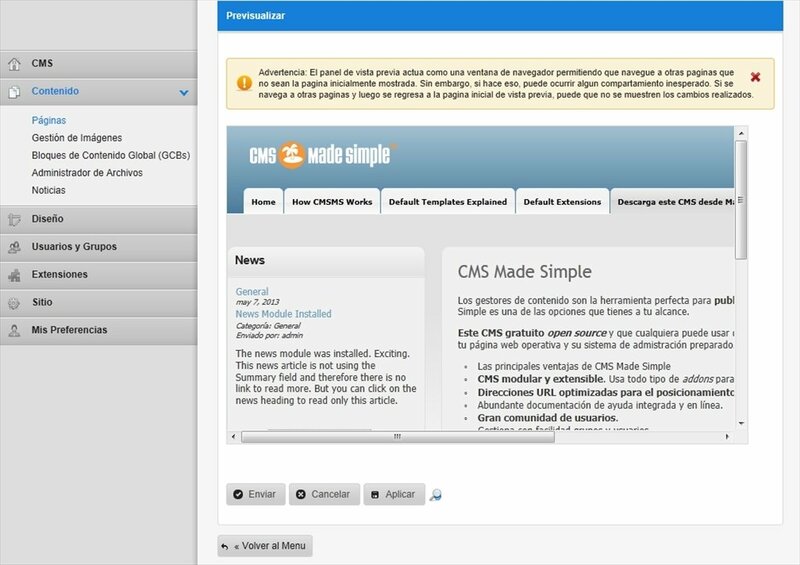 CMS Made Simple is ideal for static pages in which maintenance and updates are scarce, as it doesn't use a chronological publication system like those that you are used to. It doesn't demand important requirements in terms of servers either. Power for professionals, simplicity for final users. 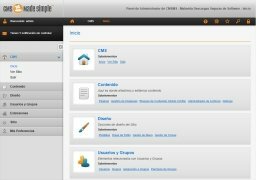 Create your personal blog as you wish, and manage it in an easy and efficient manner, by downloading CMS Made Simple for free. 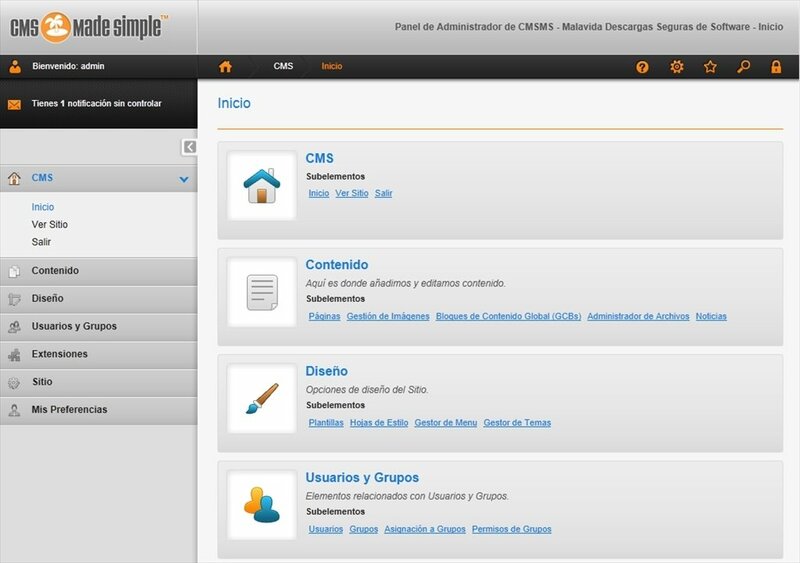 To install CMS Made Simple you need to have a web server and MySQL installed. This download requires a compressor compatible with tar.gz files.